Anthropologist Cameron Smith usually digs into the past, but these days, he does a lot of forward thinking. 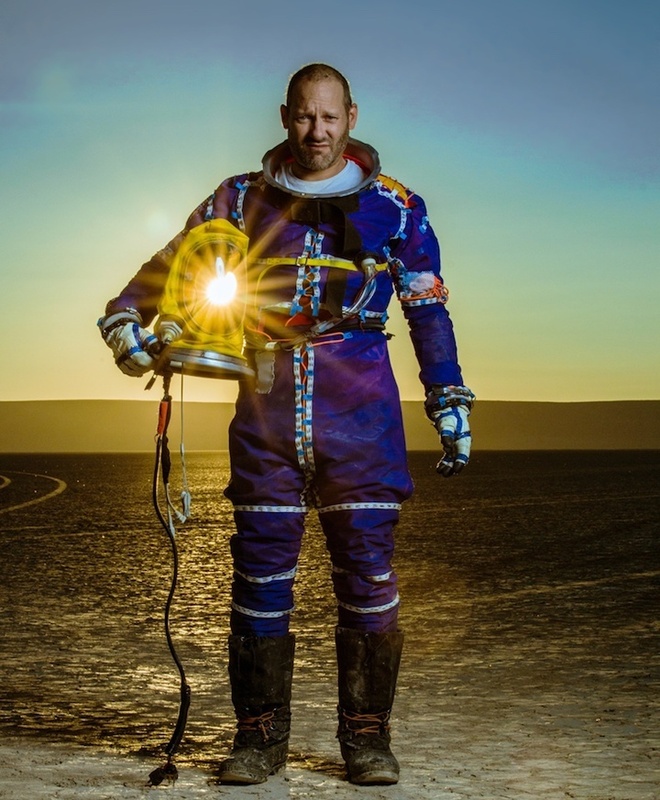 The Portland State University professor spends his spare time and money designing and building a spacesuit. He wants to make one with a price that’s about 1 percent of a comparable NASA getup, which costs roughly $70,000. This year, he’ll put his life on the line to test his design by piloting a hot air balloon by himself to about 50,000 feet, far above the altitude of commercial jetliners. Smith’s designs have attracted the attention of SpaceX, but the 51-year-old isn’t interested in profits. He’s committed to making his spacesuit plans freely available online. Discover joined Smith at his downtown Portland condo-and-workshop to learn more about what drives this explorer. Q: What’s an anthropologist doing designing a spacesuit? A: I grew up in Texas when the culture of the Apollo missions was still reverberating. But in those days, the path to space was military flying, and my eyesight wasn’t perfect. So I turned to archaeology and anthropology, which took me to really wild, remote places. I built sails for ships as part of my research and became comfortable working with textiles. And in the last decade, the proliferation of the private space industry prompted me to think about participating in some way. Many space exploration technologies can benefit from reinvention and rethinking — a lot of this hardware hasn’t been re-evaluated since the 1960s. Q: Tell us about your upcoming balloon flights. A: Some of my trained volunteers and I have done a handful of test flights, and we’re now pulling together the resources — money, an RV, a pickup truck — to stay in the field for weeks at a time in a “mobile flying camp.” We’ll be pushing into the 20,000- to 30,000-foot range this year. There may be things going on with a spacesuit that you don’t notice until someone is looking at it from the outside. But I’ll have to go up to the really high altitudes alone because my balloon’s volume provides enough buoyancy to lift only me and a lightweight life-support system through that thin air. I’m going to be very cautious. You’ve got only about five to 15 seconds of useful consciousness up there without a spacesuit. I don’t want to get injured or killed. Q: Why not just test the spacesuit in a pressure chamber? A: Space-equivalent conditions, like those at 50,000 feet, include a major problem that’s hard to replicate in pressure chambers: very low temperatures. Imagine what metals and adhesives do at minus 100 degrees Fahrenheit. I want to have my invention keep me alive in those conditions. Q: How many other people do you know of who are taking this DIY approach to spacewear? A: Every couple of months, I get an email from someone who wants to design a spacesuit. I’m happy to share a lot of what I know, but after a while, most people start to realize it’s a lot of work. I don’t know of anyone else designing a spacesuit privately.